MANILA, Philippines -various lawmakers have submitted a formal bill that aims to abolish the Continuing Professional Development (CPD) Act of 2016. 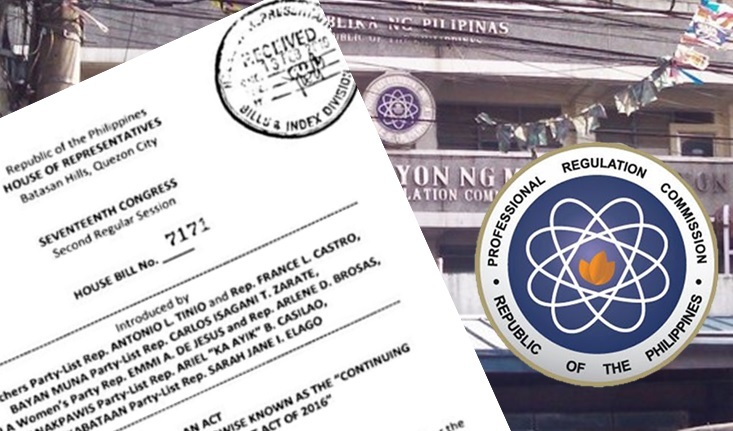 Representatives Antonio Tinio and France Castro of the ACT Teachers Party-List were the ones who have formally filed the House Bill No. 7171 to the House of Representatives to help repeal the controversial CPD Law. A bill has been filed to repeal the CPD Law. “This government should no longer inconvenience our professionals in the name of business and foreign interests. We strongly urge the House of Representatives and the Senate to immediately hear and pass House Bill No. 7171 to repeal the CPD Act of 2016,” the representatives added. According to this CPD Law, all professionals are required to earn CPD units by joining formal and non-formal training for the renewal of their Professional Identification Card every three years, effective July 1, 2017. The Professional Regulation Commission (PRC) explained that the law was enacted to conform with the Association of Southeast Asian Nations (ASEAN) Mutual Recognition Arrangements, the Philippine Qualifications Framework, and the ASEAN Qualifications Reference Framework to help Filipino professionals to be at par with other member countries’ standards. Several professionals have already expressed with dissatisfaction over the CPD Act. Since last year, countless of petitions from various professions have been made. PRC made clarifications that Sen. Trillanes never made mention that the CPD Law will be abolished but is is continually meeting with stakeholders to improve the law. They also added that they practice “maximum flexibility” in the implementation of the CPD.